Today, we will look at the humanistic persona and how marketing professionals and business owners can market their products and services to him more effectively and profitably. But first, let's review some key ideas from the previous three posts in this series. What are his nagging problems? Furthermore, how does he approach the buying process? 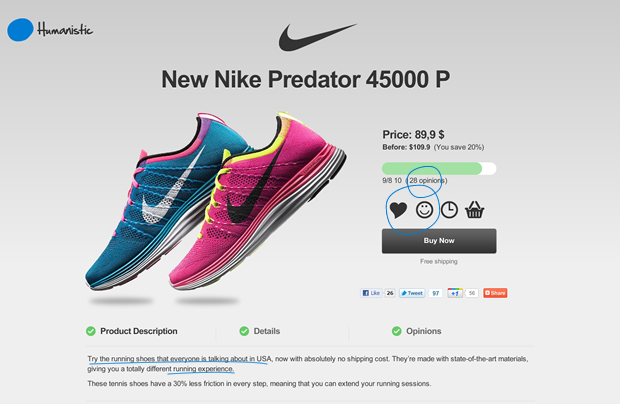 What are the emotional triggers that influence his decision making when he buys? How can you market to him in a way that he's likely to respond to? The answers to these questions will help you build accurate marketing personas. Let's take a closer look at the humanistic buyer. Each of the four personas can be classified based on whether they tend to make buying decisions quickly or slowly and whether they tend to be more logical vs. more emotional in their buying decisions. The humanistic personality type tends to make slow, drawn-out buying decisions influenced more by emotion than by logic. You will want to adjust your marketing approach and map out your content and copywriting strategy accordingly. Humanistic types don't view buying from a strictly transactional perspective. They highly value relationships with the vendors they buy from. They love being included as part of a community of like-minded product enthusiasts. You can help lay the groundwork for marketing to them successfully by setting up and nurturing an online community – whether through social media, an online discussion forum, or both – and inviting them to be part of it. All of your prospects, regardless of which persona category they fit into, are human. And humans are emotional. Their emotions affect their buying decisions, even if they fall into the more logic-oriented (methodical and competitive) persona categories. Humanistic types tend to be very much driven by emotion as they make their buying decisions. One of the main emotional drivers for many, perhaps all people, is validation. This is especially true with the humanistic personality type. 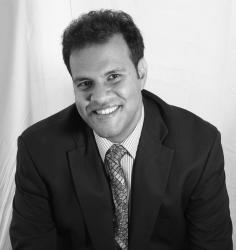 He longs to feel valued; he responds positively to marketers who show that they value having him as a customer. A very effective way to show the humanistic type that you value him is to offer a special discount or other buying incentive. If you will answer these questions and others like them in your marketing content to his satisfaction, you can strongly influence the humanistic persona and make him much more likely to buy from you. Stories are a very powerful, effective content marketing and copywriting tool that many marketers ignore or outright dismiss as being “old fashioned” or “unsophisticated”. Don't make this mistake! To answer this question and powerfully persuade the humanistic persona, offer him stories about your product and how it helped others like him overcome a nagging problem. Make your stories more emotional than logical in tone and feel. Write stories in which he can see himself as the hero. Make it easy for him to see himself enjoying the same kind of end result your very satisfied customers have enjoyed. Tell him about the benefits he'll enjoy, but take it a step further. “Paint” a vivid, emotion-drenched “word picture” that allows him, in his mind, to easily place himself into the story. If possible, make it a story that shows him enjoying the lifestyle your product enables. This is much more powerful than just making a bullet point list of benefits, don't you agree? 2. "Can I trust the people in this company?" Produce case studies that show your product has solved the problem he's facing for other customers of yours. Remember to include emotional stories that will give him a strong indication about how he can expect to feel after he invests in and begins to use your product. Offer him testimonials from your current, very satisfied customers. Make these testimonials rich with factual details and specific numbers to back up your claims. And like you will do with your case studies and other marketing content aimed at the humanistic persona, show how investing in and using your product made your current customers feel. 3. "Who else uses this company's products?" This question can be answered by your case studies and testimonials. And since the humanistic persona values relationships and the human touch, use a tool that may make your testimonials even stronger. What tool is that? Video. As powerful as solid written testimonials are, video testimonials may be even stronger. 52% of consumers say that video makes them more confident about buying a product. Because of this, and because the humanistic persona desires the human touch in his buying activities, it stands to reason that video testimonials will resonate strongly with him. 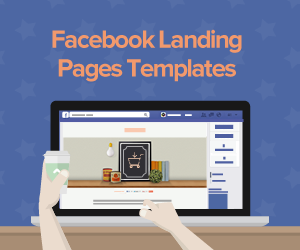 Regardless of which of the four personas you are trying to reach through your online marketing, landing pages are a valuable tool. 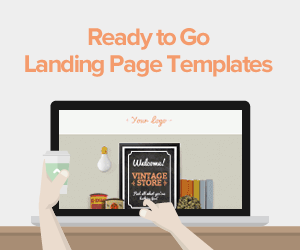 Lander offers you the easiest-to-use landing page platform available. Because of its built-in video support, Lander allows you to easily include video testimonials that will accentuate the “human touch” and help build the trust so important to the humanistic persona. Lander makes it a snap for you to include the customized content that will speak to the needs and wants of the humanistic persona, including the special offers and incentives that will make him feel valued and appreciated. 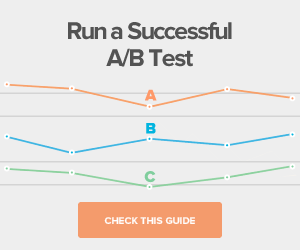 Lander's advanced A/B testing feature helps you optimize the way you market to the humanistic persona. You will become more and more effective in your attempts to win him as a customer. 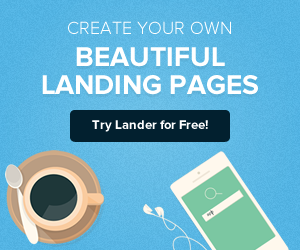 Do you feel that Lander's innovative landing page platform might be right for you? Want to give it a free, no-obligation trial run? Click here to find out how you can. Got questions? Contact us today!